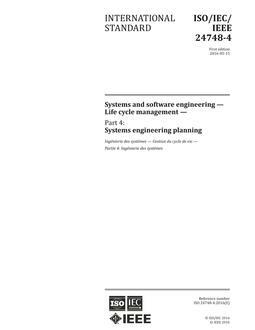 SEPT is pleased to announce the System Documentation Management Plan Template to aid system engineers, without broad knowledge of system documentation management, to implement this critical process. No expensive training or extensive experience is necessary to use this Template. More and more, documentation management is the tool required by users to ensure the right product is being built and delivered. At the same time, users want assurance the product is being built under well managed and controlled conditions. This Documentation Management Plan Template will provide users with the needed information to understand and approve a provider's documentation process, while giving provider personnel a roadmap to create documents and ensure the documents match the delivered product. Addresses documentation managing issues and satisfies ISO/IEC 15288, System Life Cycle Processes (2002), Section 5.4.8 Information Management Process for a documentation management plan. 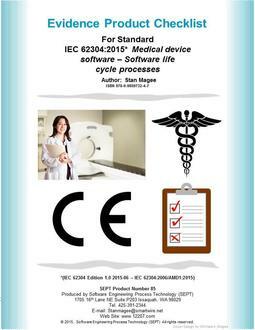 ISO/IEC 15288 required plans, documents and reports are listed, along with some suggested documents. The Template is designed to aid a person with limited knowledge of documentation requirements and methods to implement a sound System Documentation Management Plan. The Template can be easily implemented by one person. It is applicable to small, large, critical and non-critical system projects. The Template is designed for projects, but can easily be modified for non-projects. Recommended wording, format and approaches are provided. This item comes with four hours of free consultation. SEPT will answer any question concerning the standard or checklist for 60 days after purchase.